Do your children like shopping? Or playing shops at least? My eldest LOVES shopping but it is safe to say the other three are not interested.They do love role play, let’s pretend and especially popular in our house are playing shops or cafes. 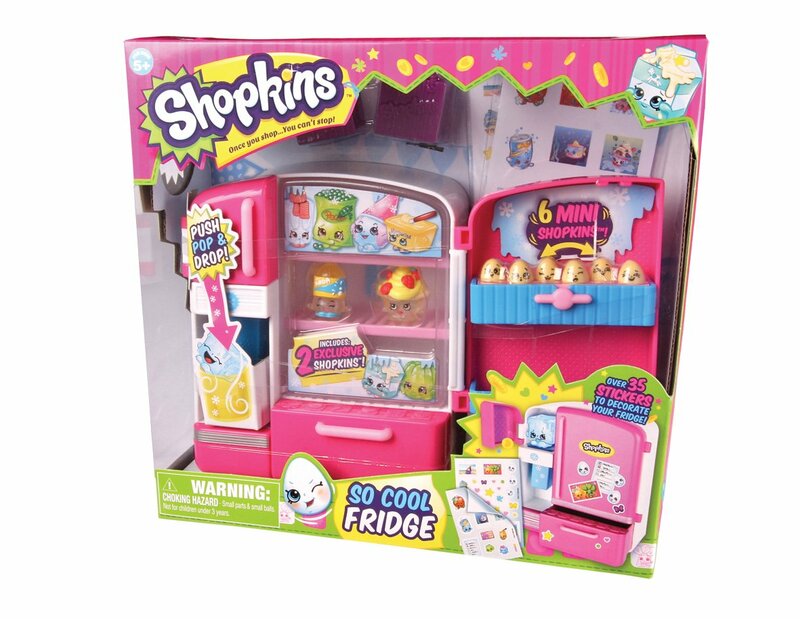 Shopkins are super cute, fun, SMALL (very small) characters that live in a BIG shopping world! Over 100 different Shopkins characters per series are brought to life as the cutest collectible characters! 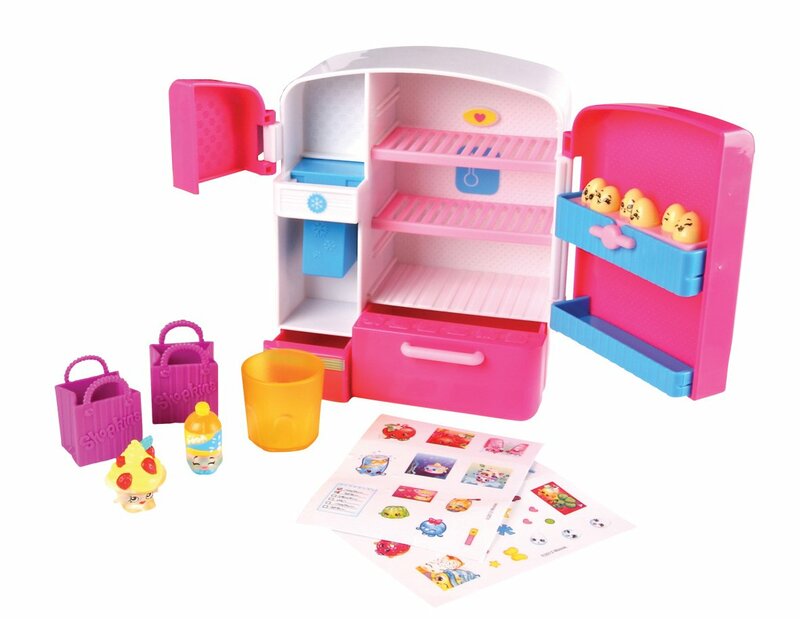 You can display and play with the ‘So Cool’ Fridge Playset. It includes an ice dispenser, an egg seesaw, fridge stickers and removable trays for plug and play. This playset also comes with 2 exclusive characters, 6 mini Shopkins eggs and a collectors guide. The set is aimed at children aged 5+ and due to the tiny parts I would say this is pretty accurate. If you have younger children at home you will need to keep this one out of reach. One way to do this is with the Shopkins organiser and if your child is going to get into collecting these then I would recommend one of these so the parts don’t end up sucked up the vacuum cleaner! erm… ok so maybe I had to fish one out last week! These are lots of fun and quite different to anything else the children have. They really enjoyed decorating the fridge with the stickers as well. A great gift idea or little collectors project!